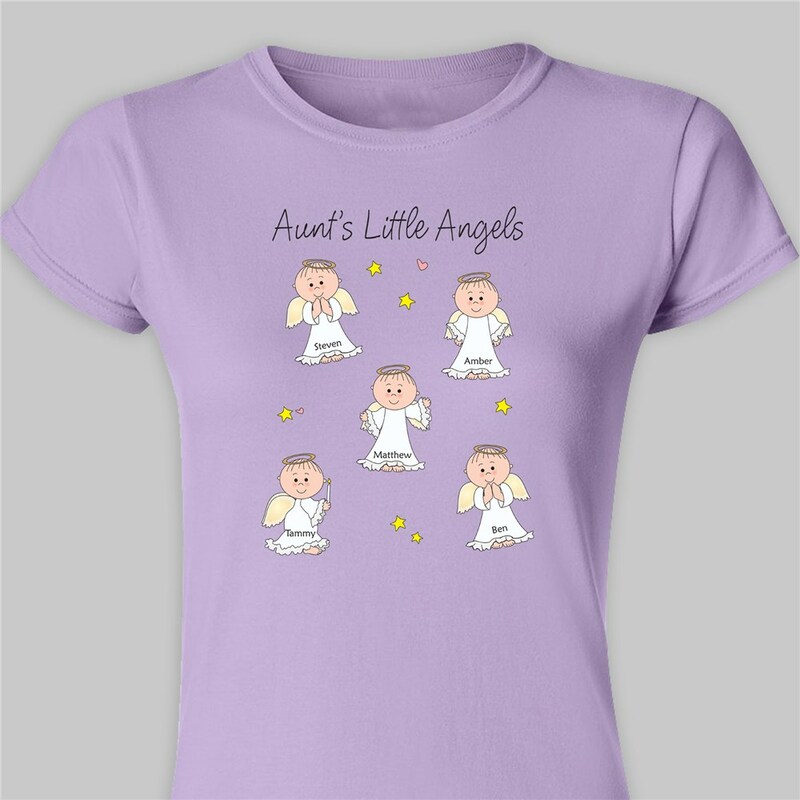 Let Grandma show off all her little Angels with her very own Personalized Angels Women's Fitted T-shirt. A great Personalized Gift for your Grandmother, Mommy, Aunt or Nana that is comfortable and looks great all year long. Our Little Angels design is available on our premium 100% soft-style cotton Personalized Women's T-Shirt, machine washable in adult sizes S-2XL. Shirt is 4.5 oz , pre-shrunk, double-needle stitched sleeve and bottom hemmed. Includes FREE Personalization. Personalized your Angels T-shirt with up to 30 names and any title. Would have liked to have seen the shirt offered in additional colors. This is an adorable t-shirt and exactly what I was looking for. My mother loved it! Better than I expected! Very high quality made for a small price!